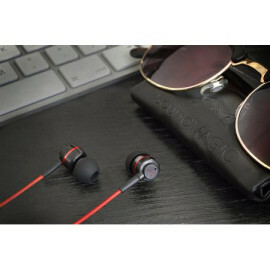 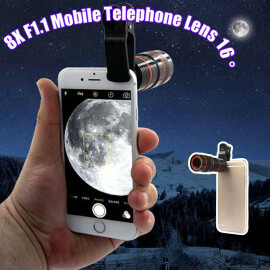 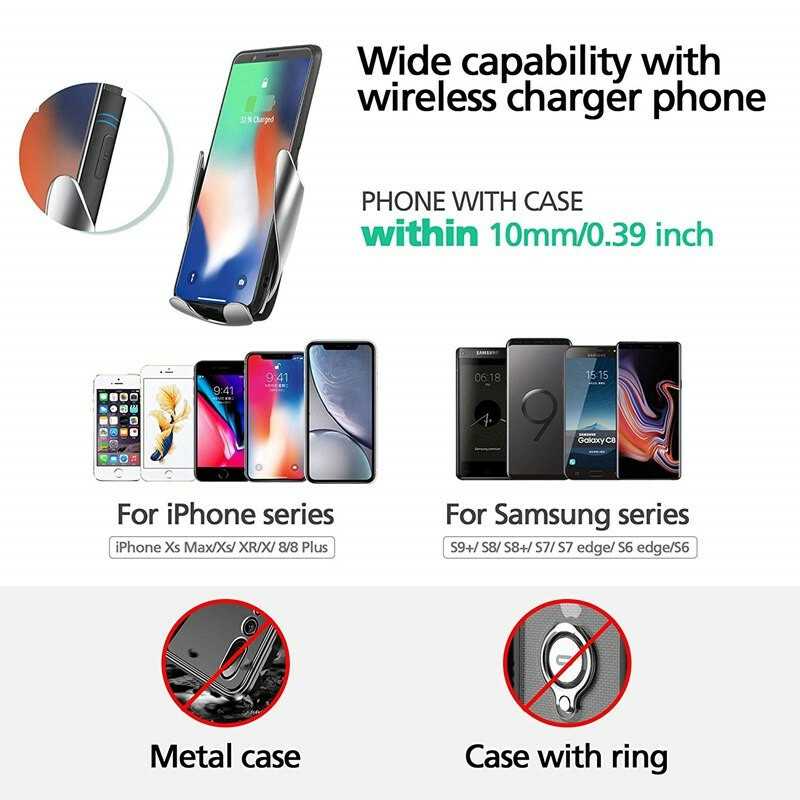 COMPATIBLE WITH MOST SMARTPHONES: Works with most smartphones, regardless of size, model or shape - including Apple, Samsung and Android. 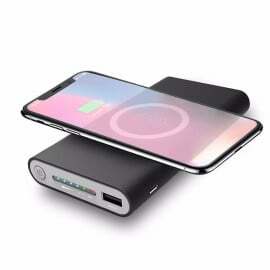 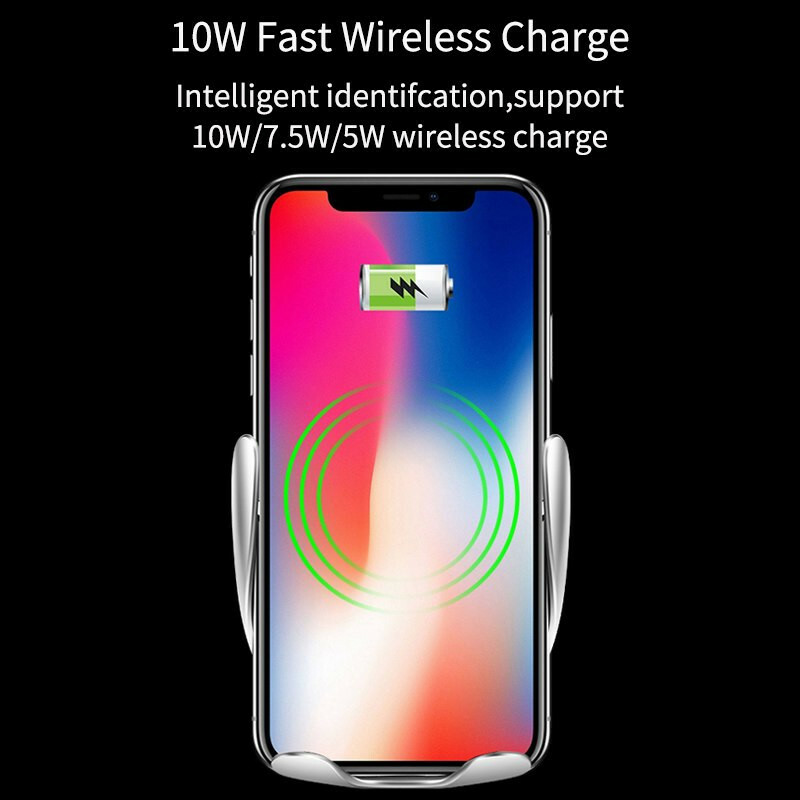 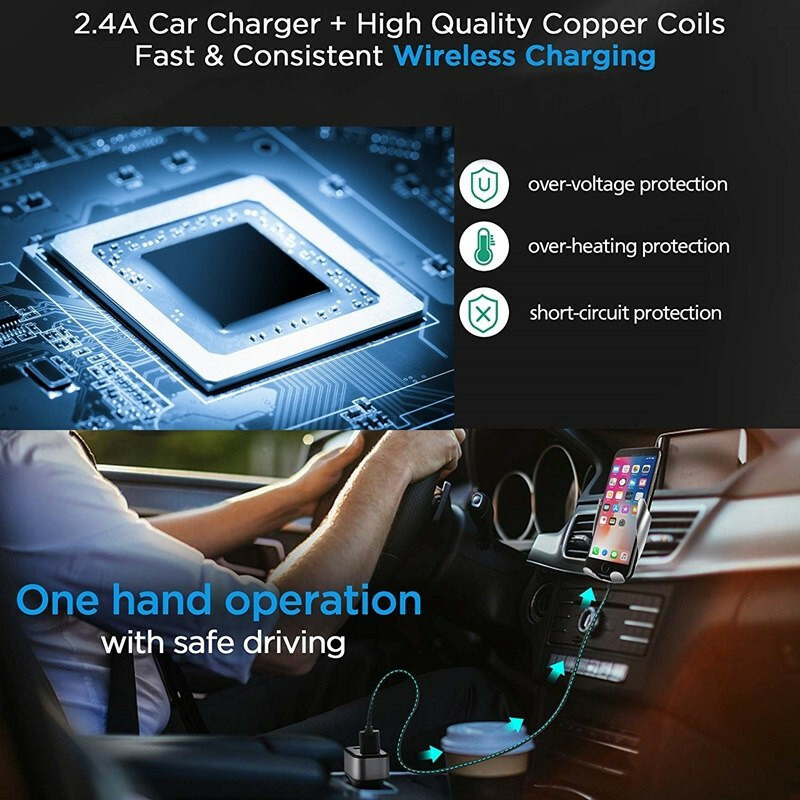 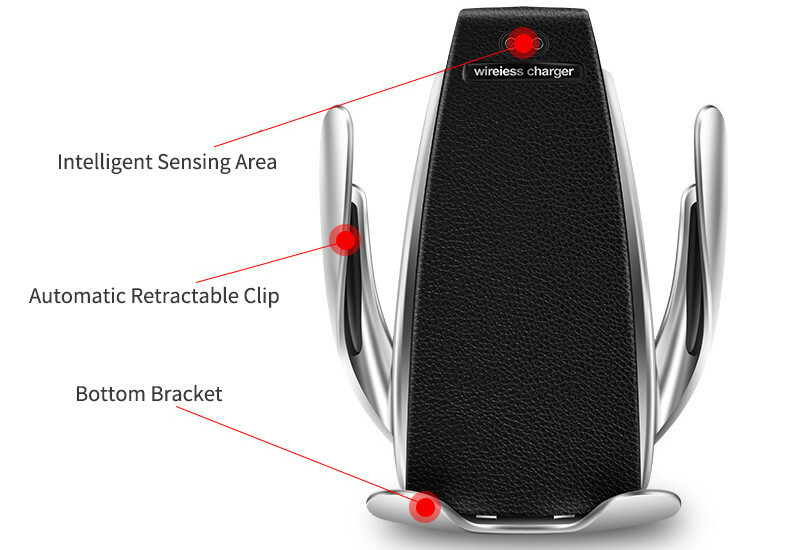 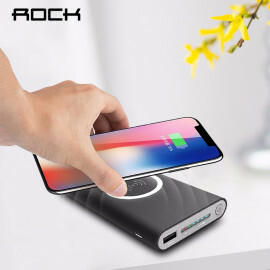 Wireless charging for Qi-enabled and Quick Charging devices. 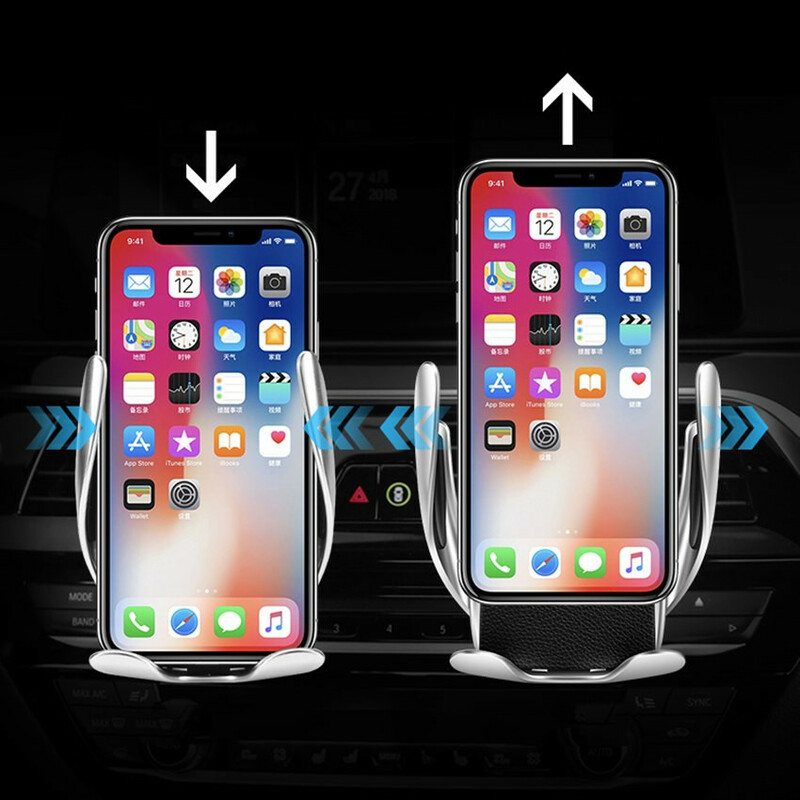 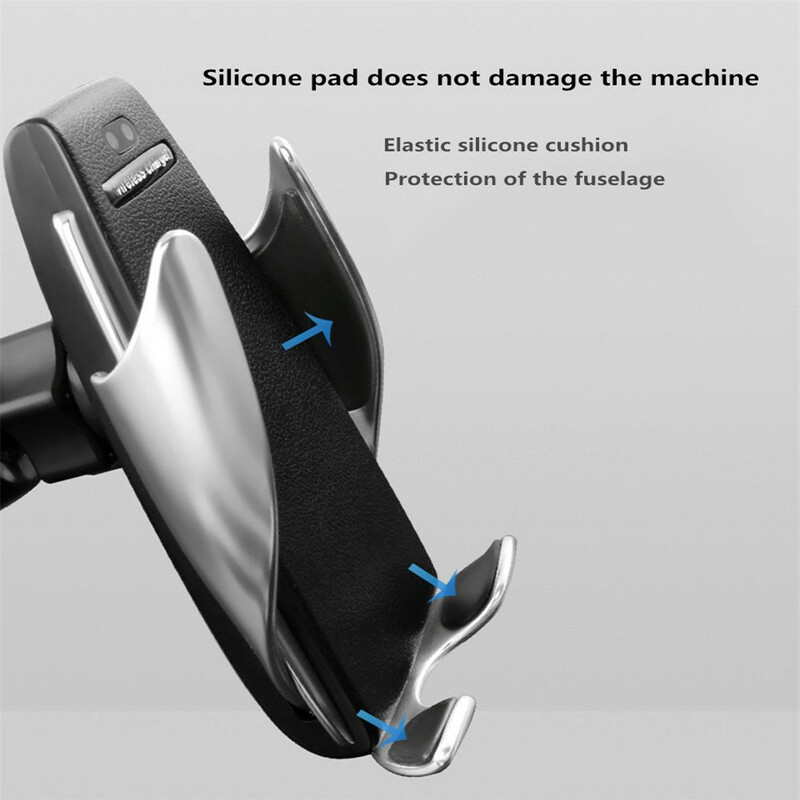 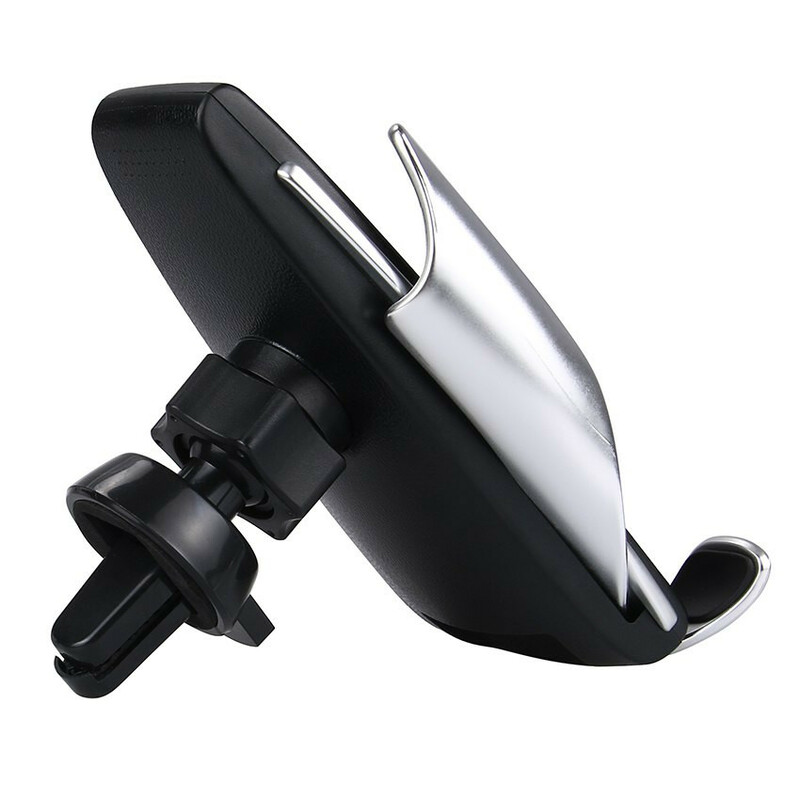 Ball joint pivot for a variety of optimal positions, easily turn your phone facing the driver for a better viewing. 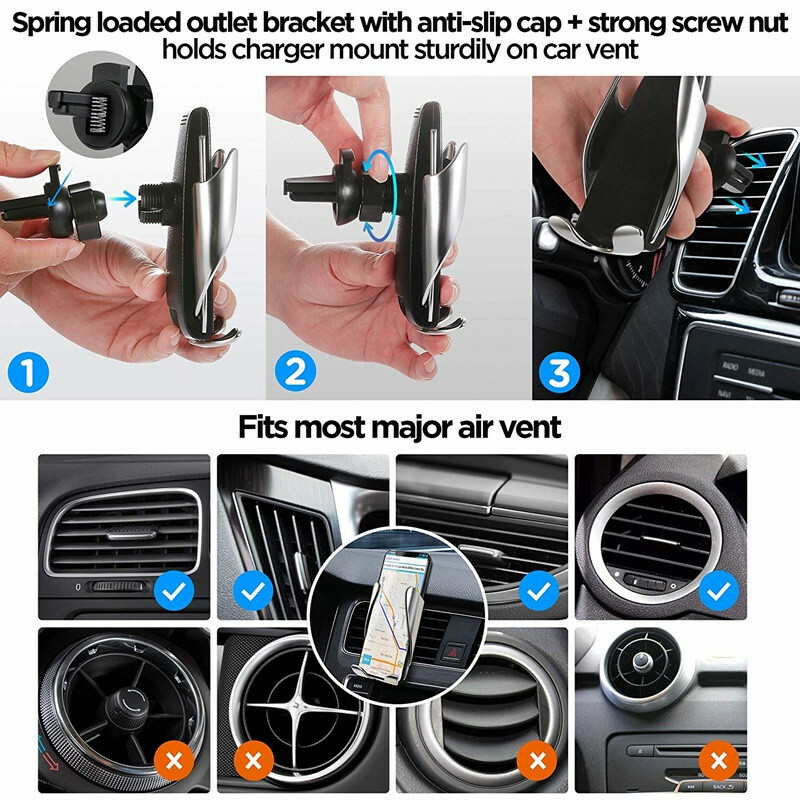 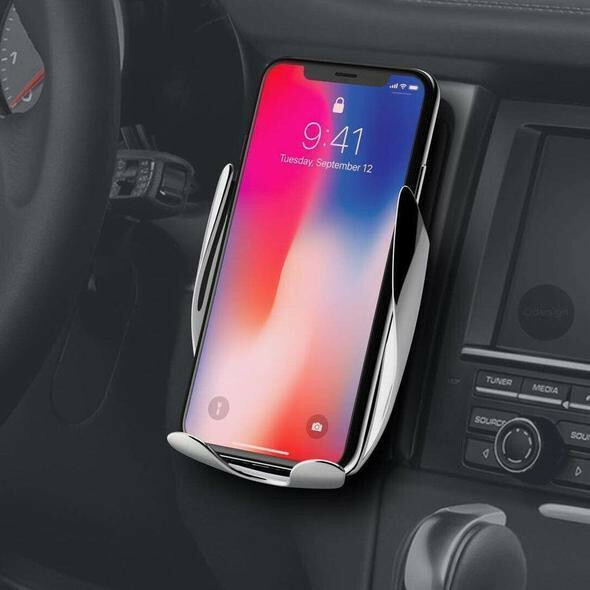 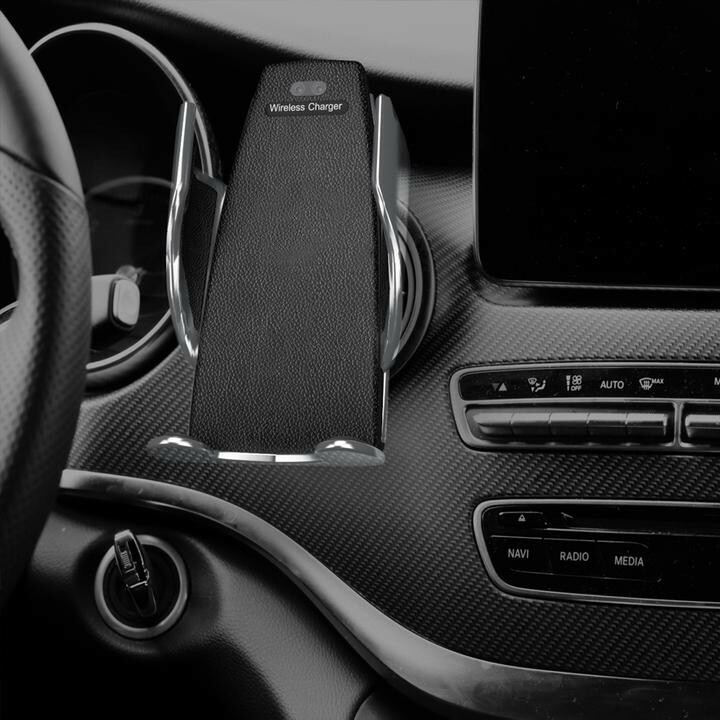 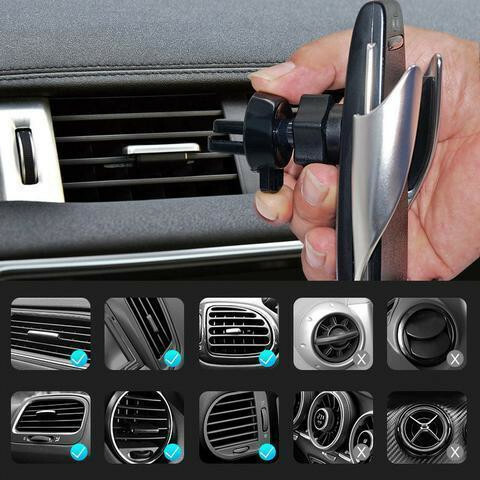 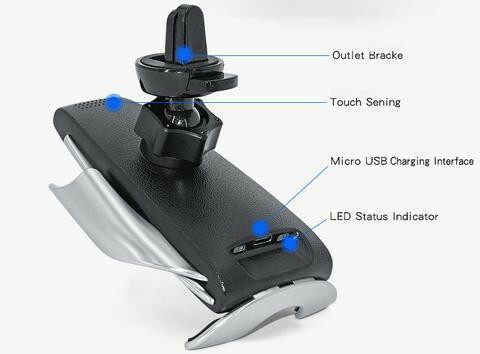 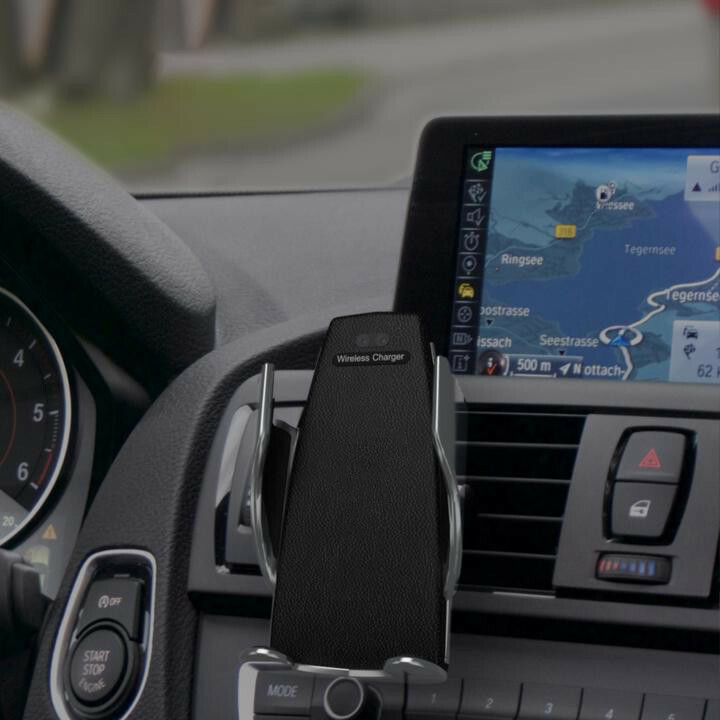 Mount on air vent with gravity design, the mount arms on both sides would embrace your phone with grip. 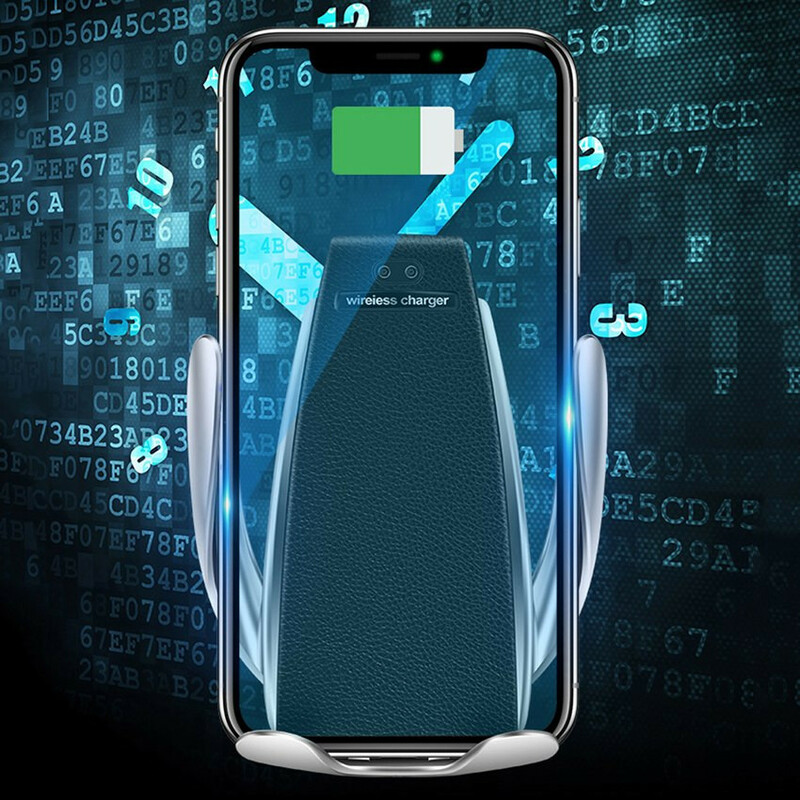 Built-in IC chip intelligently detects the current needed, and optimize charging with voltage protection, temperature control, and more advanced safety protection. 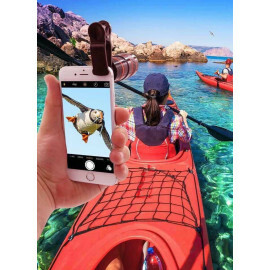 360 degree rotation design allows you freely adjust to get the most comfortable viewing angle.